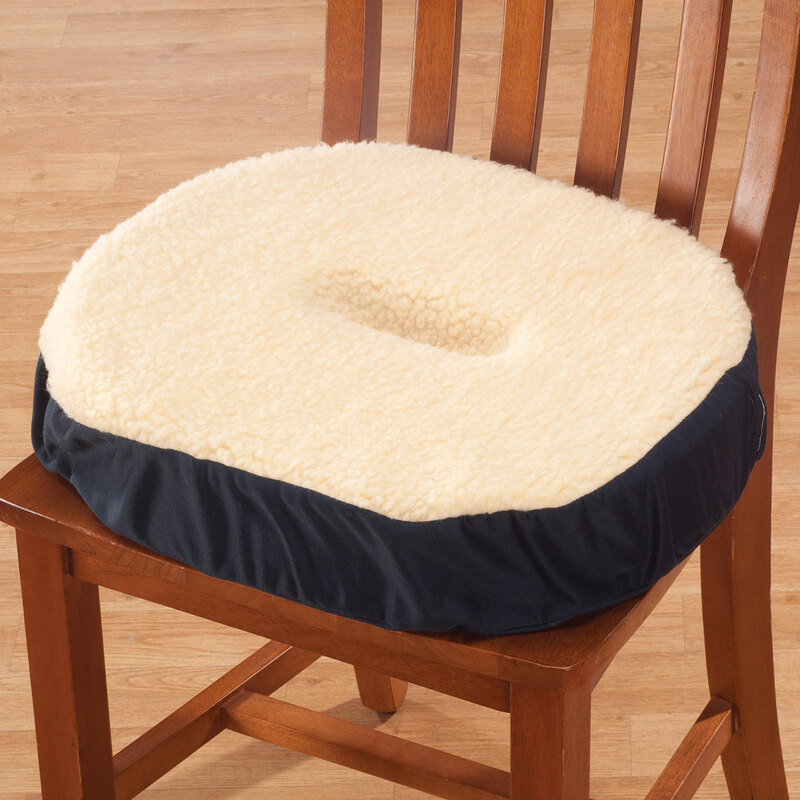 This chair cushion is great, it really works. I would recommend to anyone that sits a lot throughout the day. it is comfortable, i seat for long times in front of my computer. Needed cushion for office chair, long periods of sitting. My client is always sitting kind of lopsided in his chair and I was wondering if there is a donut cushion that you can blow up on one side but not the other side? BEST ANSWER: Thank you for your question. We unfortunately do not have a cushion of that sort. We hope this information will be of help to you. BEST ANSWER: Thank you for your question. The weight limit is 350 lbs. We hope this information will be of help to you. Do you carry Waffle cushions? BEST ANSWER: Thank you for your question. Unfortunately no we do not carry any waffle cushions. We hope this information will be of help to you. What size does it come in and is it made for wheelchair? BEST ANSWER: Thank you for your question. 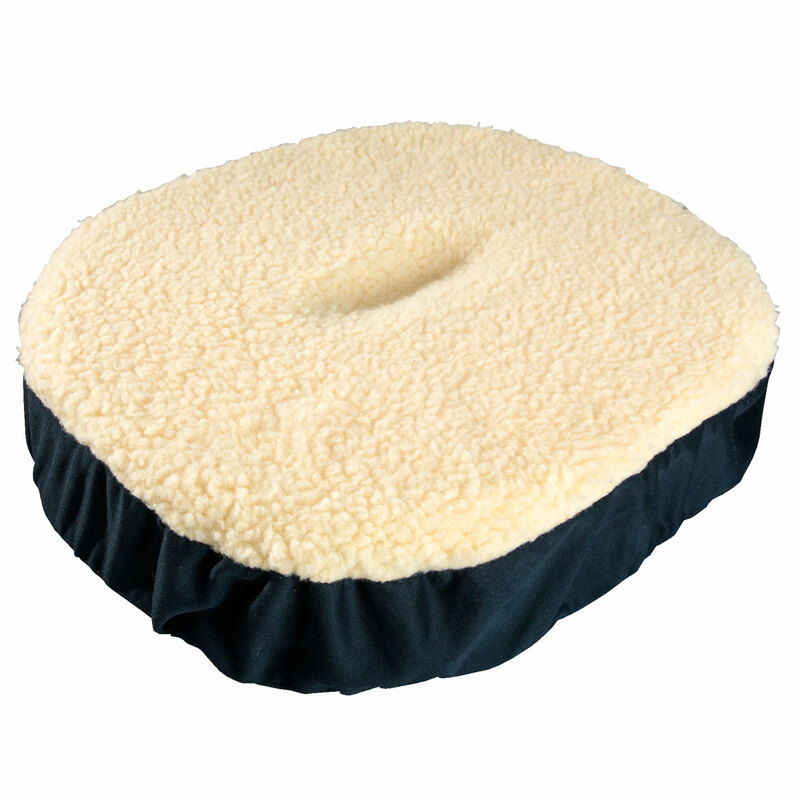 The cushion is 18" L x 16 1/2" W x 3 1/2" H I would measure the wheelchair and see if that size will work for you. We hope this information will be of help to you.